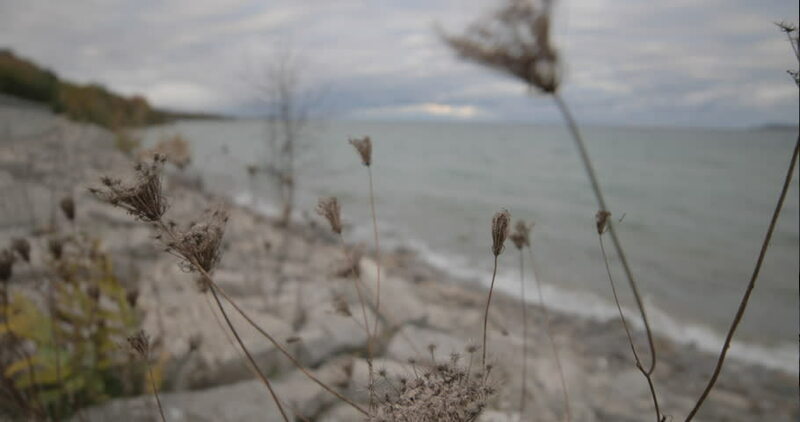 Close up of dead pant blows in the wind of lake michigan. hd00:26Fresh water ripples on lake Natural motion background. 4k00:184k shot of a dry field on sunset with moving camera and changing focus. Shot with red camera.